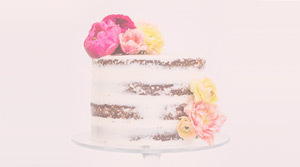 Big day on the Cakelet front, mamas! 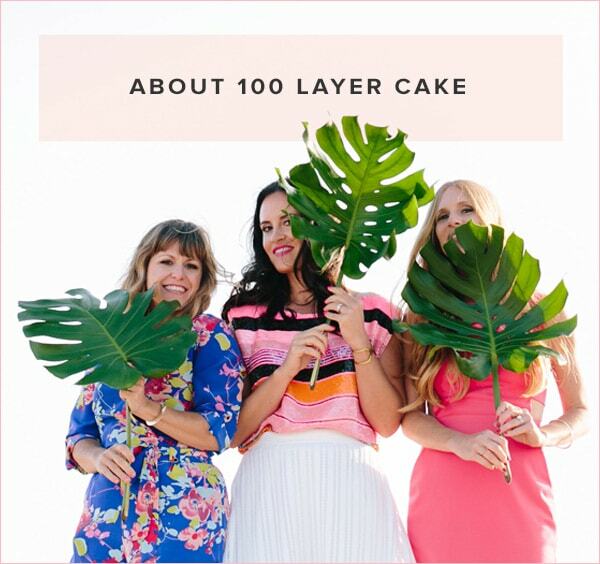 If you’re a 100 Layer Cake reader (and of course you are!! ), you know we’ve partnered with Crate and Barrel for a few years now. 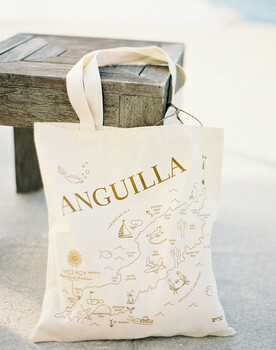 We’ve created some really lovely projects with them, which makes us so happy! And now for their baby and kiddo line, Crate and Kids! 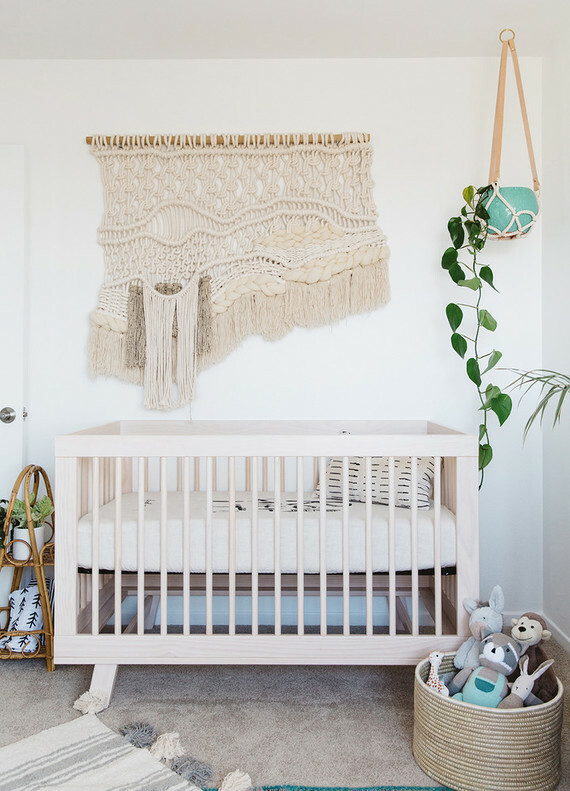 As mamas, we know how necessary it is to have a proper Baby Registry when preparing to welcome that brand new tiny human into your lives (NBD, right?). 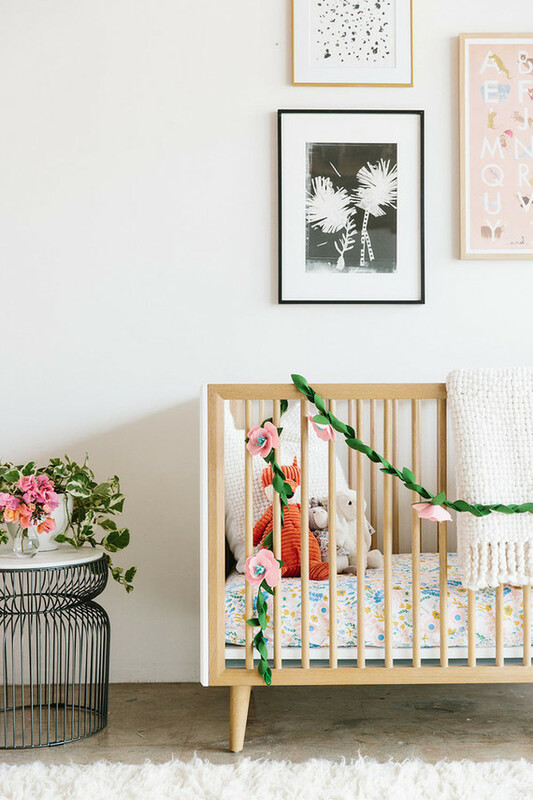 And as mamas who appreciate a space that’s cozy, safe, and functional for baby, but also really, really well designed, we had to show off some of our fave Registry picks in a themed nursery. And not just any nursery. 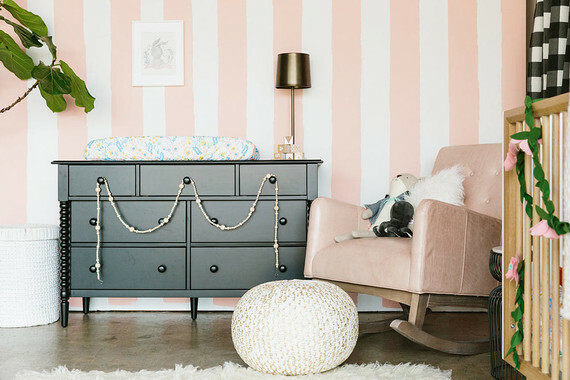 A Parisian-theme girl’s nursery! 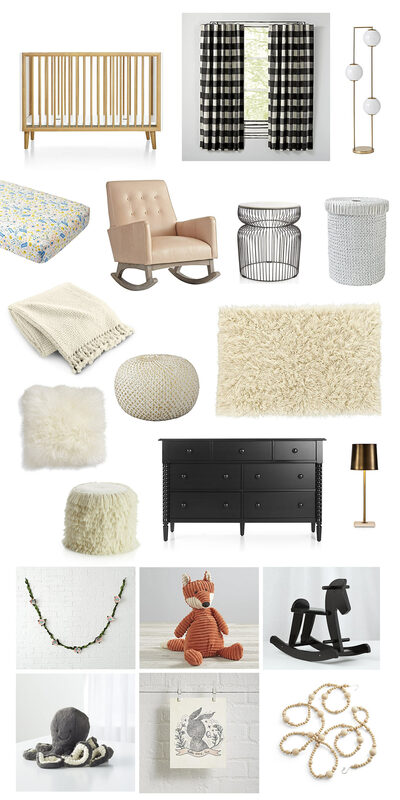 If you’re thinking a Registry for babe is just to get a few tiny necessities and cute clothes, you’re sooo underestimating it! 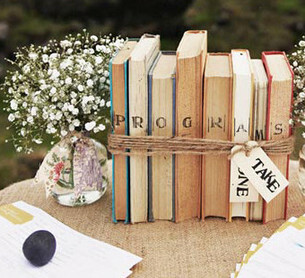 That’s fun too, but it’s going to help you and your partner during a very exciting, but overwhelming time. And yes, your closest peeps will appreciate the chance to support you on the journey to motherhood. 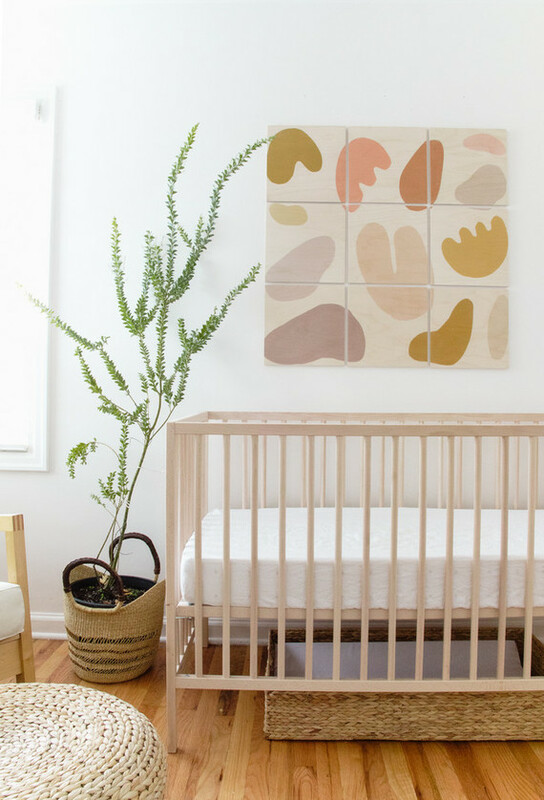 Naturally the focal point of the room is the crib, and the Mid-Century Spindle Crib sure is beautiful. 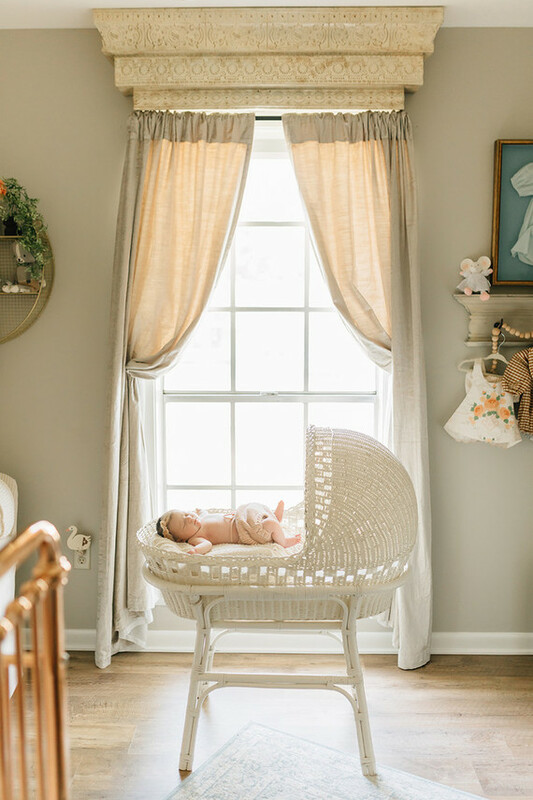 So many costs come with prepping for baby, adding a bigger-ticket item to the Registry that friends + fam can go in on as a group will not only help you create the safest, coziest space, but there’s always a few loved ones who prefer to support you on something like this rather than, say, a smaller decor item. 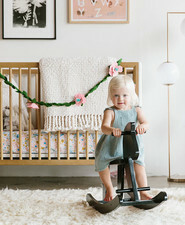 Everyone gifts differently so keep that in mind when building your Baby Registry! 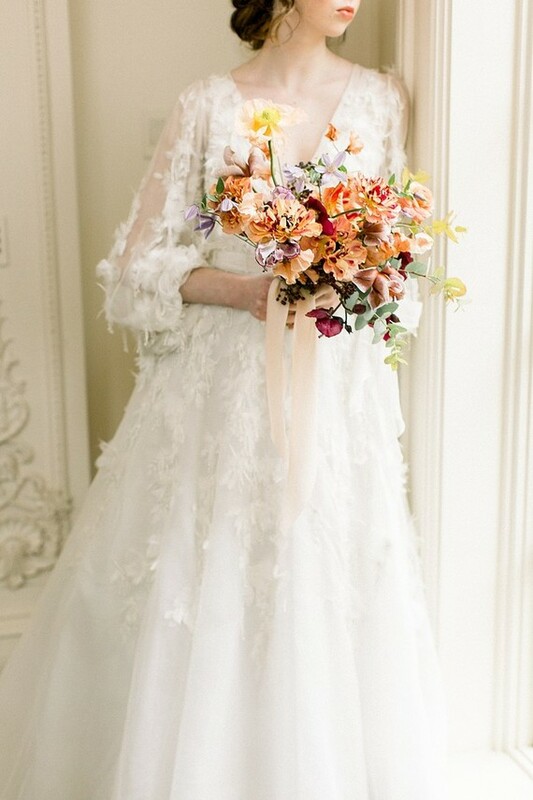 We added this cutie Felt Flower Garland for the shoot, but obvs would recommend displaying it safely away from baby! 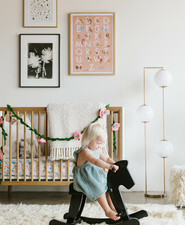 And you know a few of your pals would love to get you something adorable to adorn your little one’s walls. 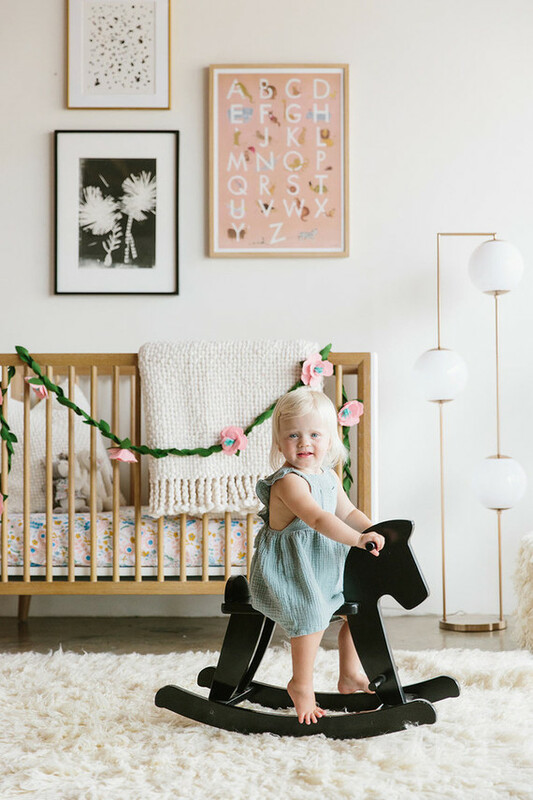 And can we just say that this Black Rocking Horse goes oh so perfectly with a modern, Parisian theme and black + white + blush color palette?! 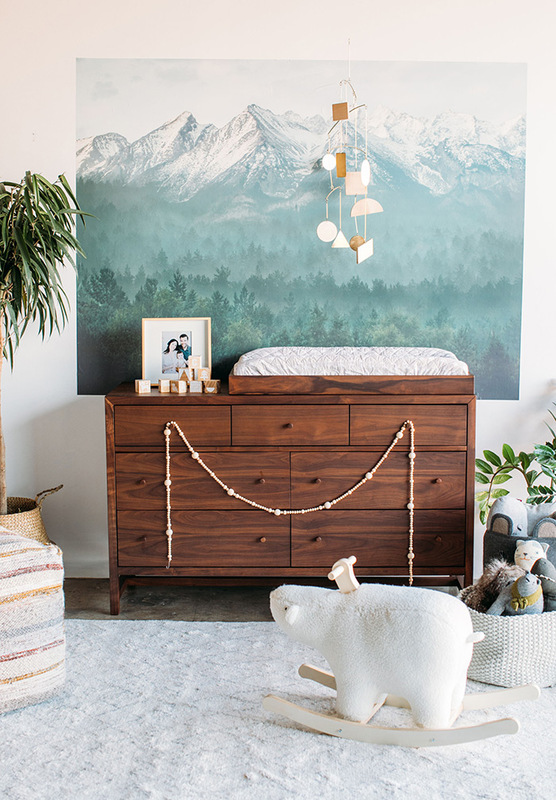 Major props to Crate and Kids for getting us *this* excited about a classic nursery staple. 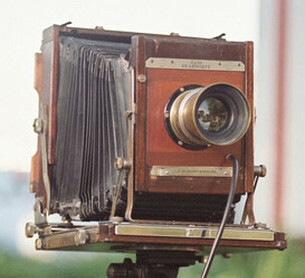 It’s all wood, too. 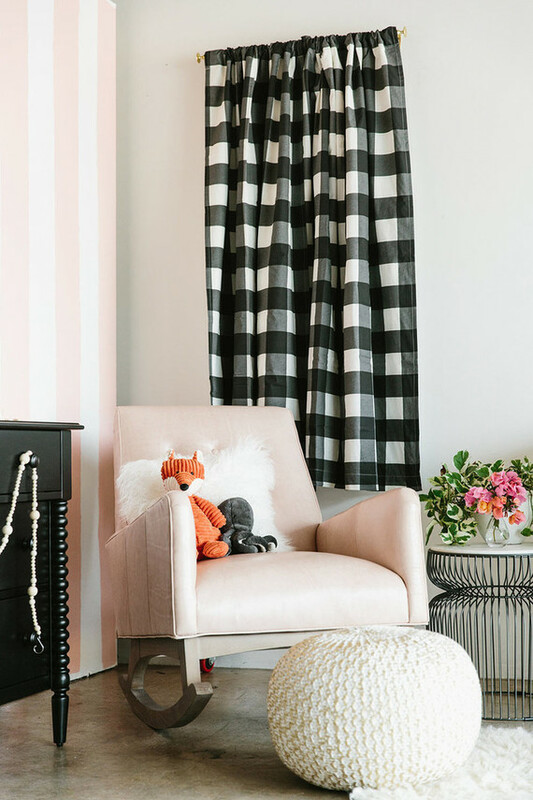 Yep, you can even add these Black Buffalo Check Curtains to the list. 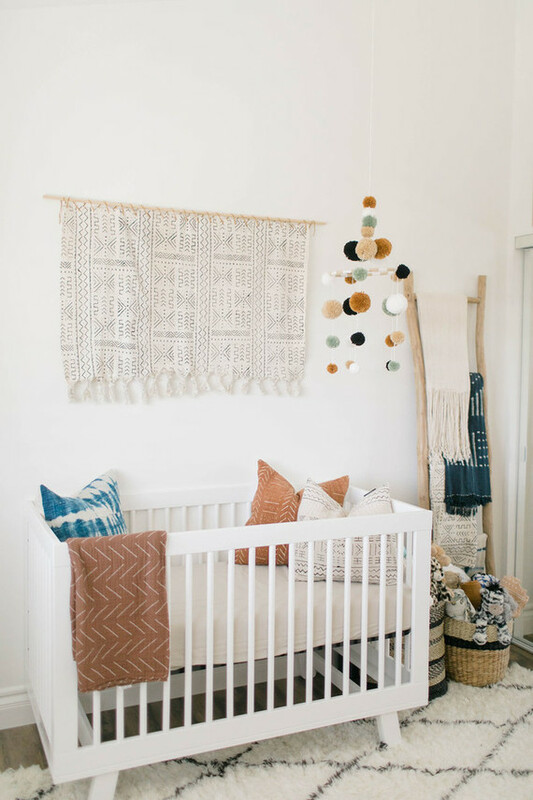 They’re blackout curtains, perfect for a napping bebe, and oh so chic. 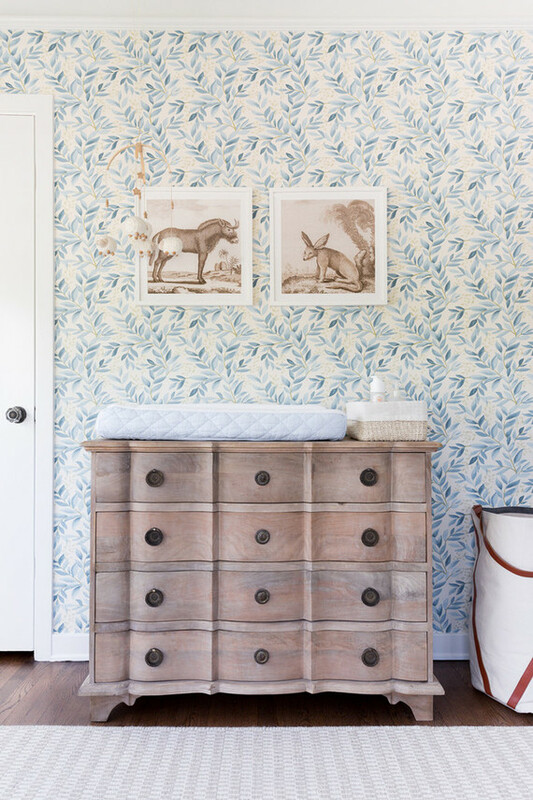 A quality dresser and changing table, and a good rocker are the two obvious musts as far as nursery investments go. 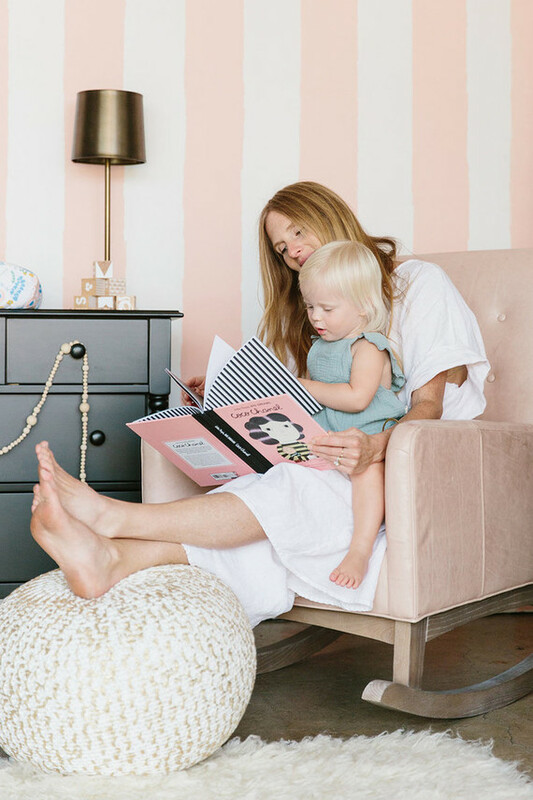 The Everly Leather Tufted Rocking Chair in blush is sooo lovely, especially with our modern Parisian theme. We’re also such big fans of simple, traditional wooden toys for baby, like these etched wooden blocks. 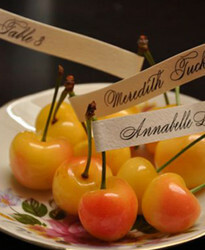 They’re beautiful and really solid quality, and just really nice as a toy AND a decor piece. 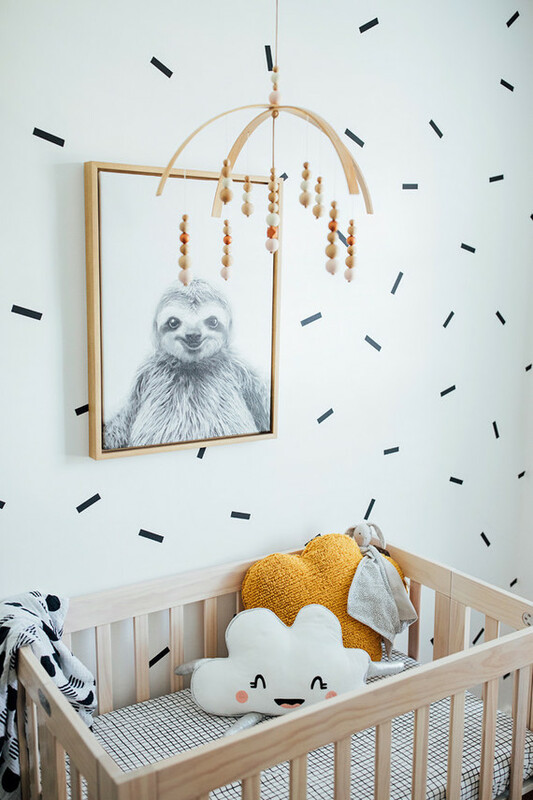 We mixed and matched some of our own beloved nursery art with the selection at Crate and Kids (the Bunny Wall Art is a fave), which boasts lots of sweet pieces to adorn the space. Oh, and the WALL. Did we mention the wall?! 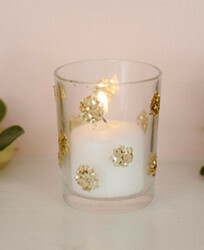 Just a little DIY action over at the studio by our Amanda! 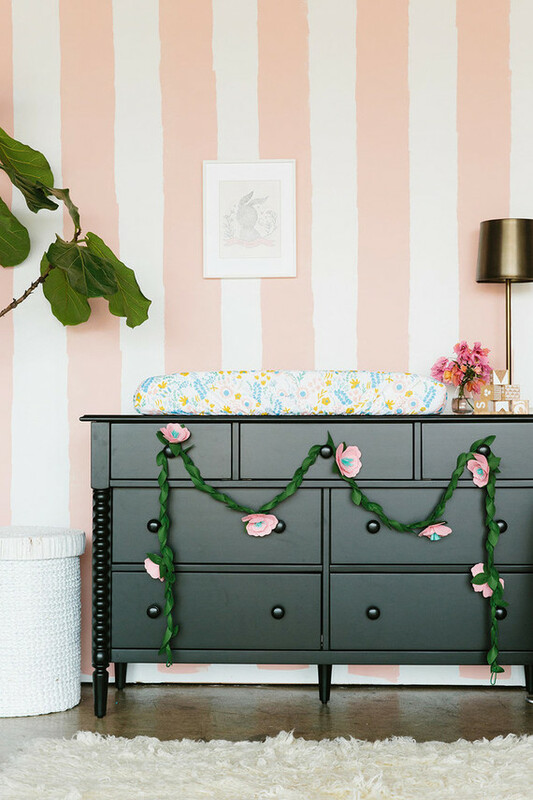 It was super easy to paint the pink stripes with a roller. 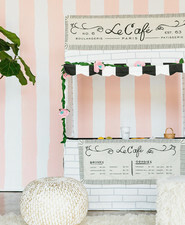 Pretty much all the nurseries we share here on Cakelet have a DIY element or two, so it wouldn’t be a 100LC nursery without something crafty. 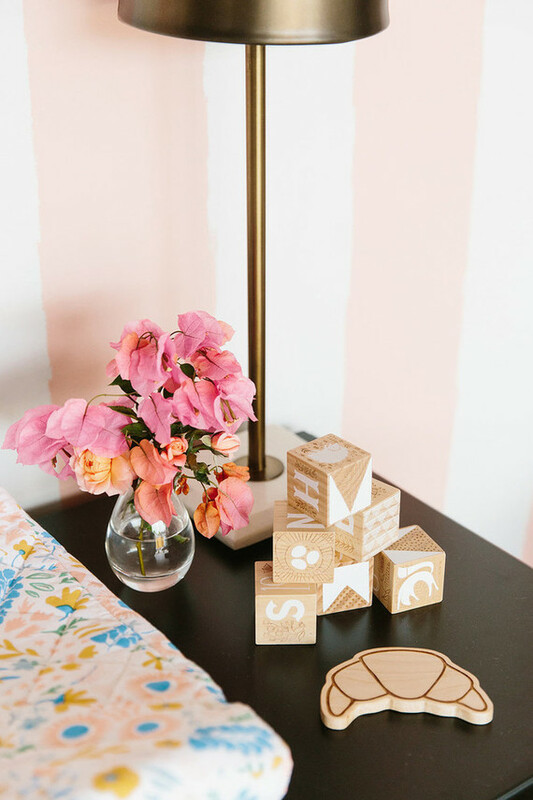 If painting isn’t your thing, BTW, you can also add some removable wallpaper or decals to your Registry for a fun touch. 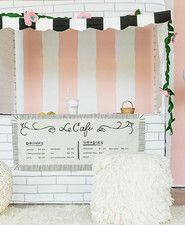 K, so you’re probably wondering about the Snack Shack Playhouse above. 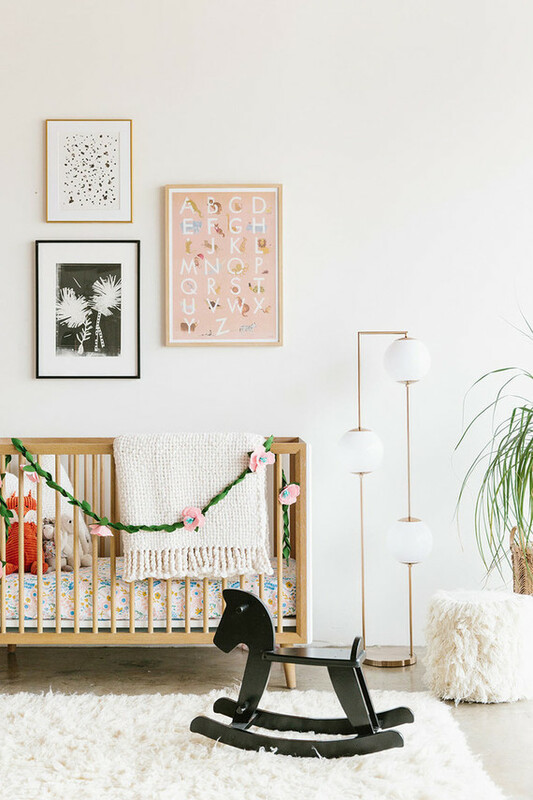 It’s the perfect thing to inspire a Parisian nursery! 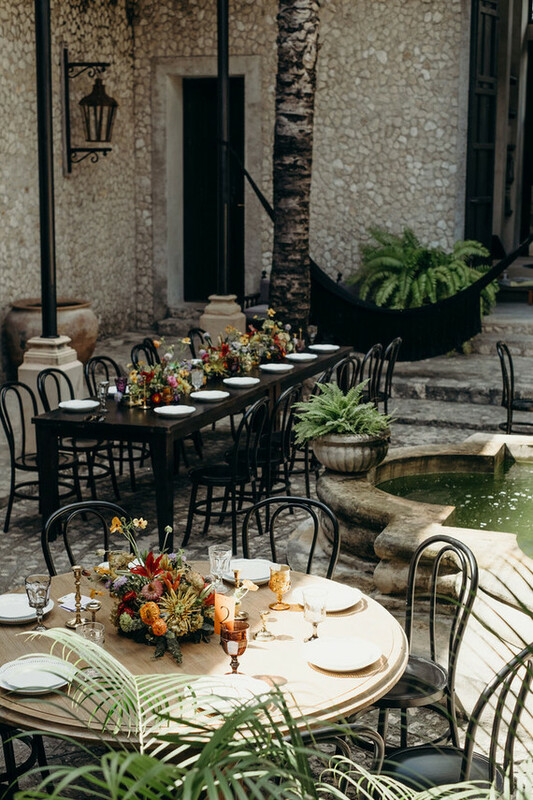 And yep, you can totally add it to your Registry and we’re pretty sure someone will scoop that one up for ya in a second. 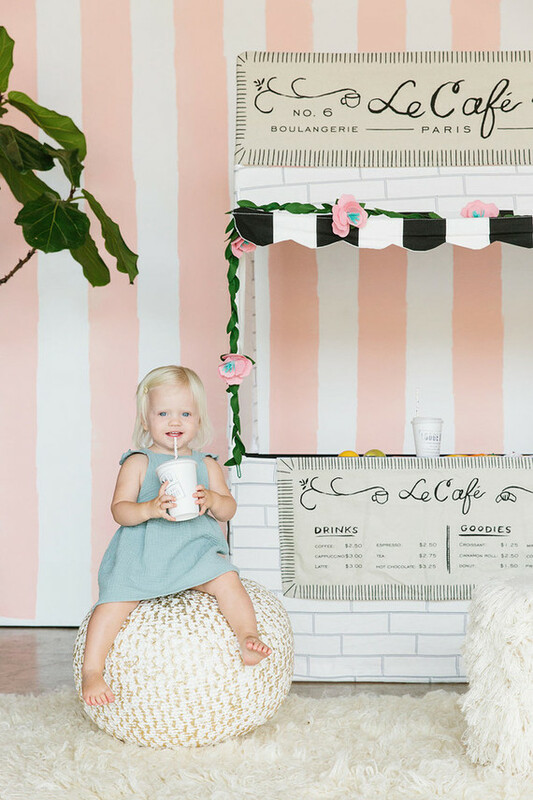 Little girl playtime at a Parisian cafe? Yep. 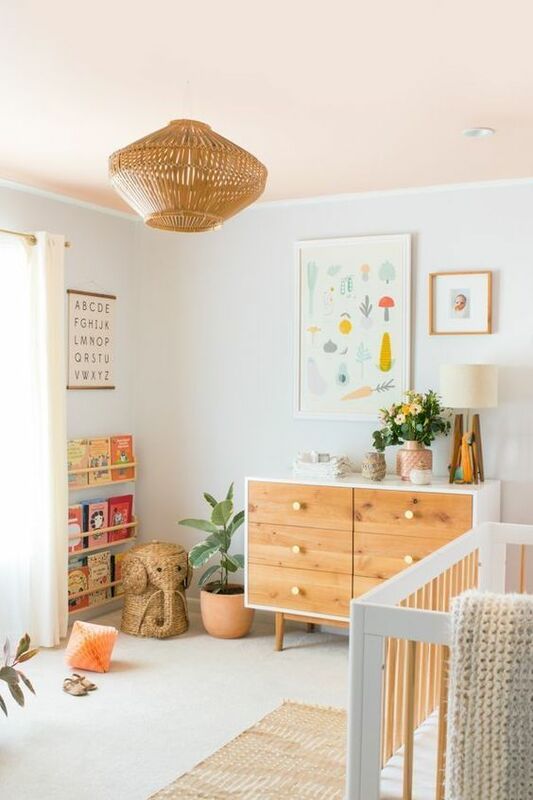 But more on that over on Crate and Kids’ blog, where you can see the rest of these nursery ideas. 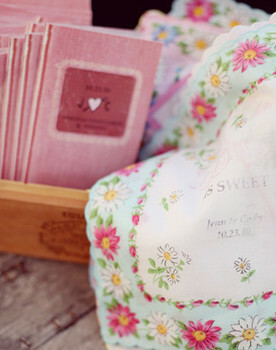 Lastly, don’t forget a soft blanket or two! 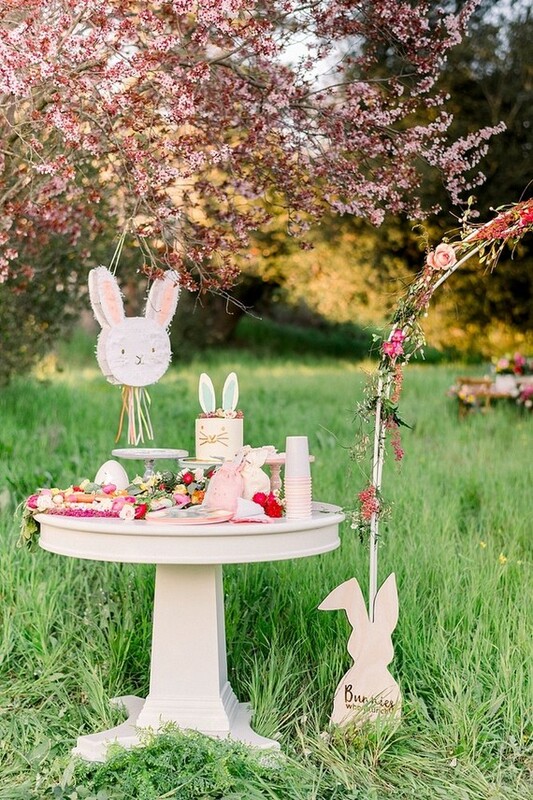 Anyone else agree that this is possibly the cutest shoot we’ve ever done? 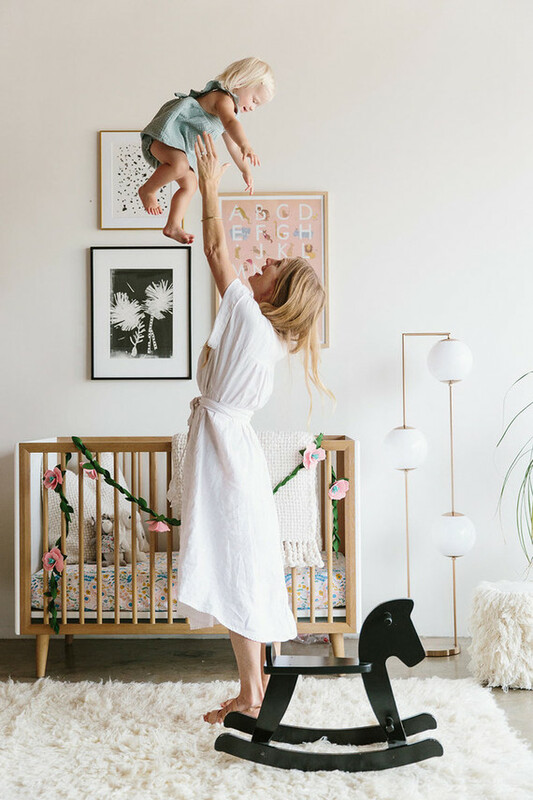 Head on over to the Crate and Kids blog to see our picks for playtime with baby.